I realized that it is not possible that one person can make substantial change; so it is necessary to build an organization of like minded people and sensitize other people to join. Kailash Satyarthi (born 11 January 1954) is an Indian children's rights activist who founded the Bachpan Bachao Andolan (Save the Childhood Movement) in 1980. He was awarded the 2014 Nobel Peace Prize, jointly with Malala Yousafzai. When you are living in a globalized economy and a globalized world, you cannot live in isolation, all the problems and solutions are interconnected, and so the problem of child labor in any part of the world is your problem. The world should have one thing in mind — if the children are exploited in any part of the world, if the children are deprived of their childhood in any part of the world, the world cannot live in peace … The world cannot be human. If I was not fighting against child labor, I don't know what else I could do. It was always in my heart, I could not live without that … It's really a kind of spiritual feeling which is difficult to explain … And the smiles come on the face of the children when they realize that they are free. … When you are living in a globalized economy and a globalized world, you cannot live in isolation, all the problems and solutions are interconnected, and so the problem of child labor in any part of the world is your problem. … The world should have one thing in mind — if the children are exploited in any part of the world, if the children are deprived of their childhood in any part of the world, the world cannot live in peace … The world cannot be human. I was personally concerned and involved in child rights-related activities right from my childhood. Then over a period of time I realized that it is not possible that one person can make substantial change; so it is necessary to build an organization of like minded people and sensitize other people to join. I knew right from the beginning that child labor is not just a technical or legal issue and also not merely an economic issue. It’s a combination of several things. It’s a deep-rooted social evil and to wipe it out we have to build a strong movement. Bachpan Bachao Andolan has never been a typical NGO but it has emerged as a movement over a period of time. Poverty must not be used as an excuse to continue child labor and exploitation of children … It’s a triangular relationship between child labor, poverty and illiteracy, and I have been trying to fight all of these things together. Caste, religion, the political system, the economic system — all are helping the bonded labor owners … I believe in Gandhi’s philosophy of the last man, that is, the bonded laborer is the last man in Indian society, that we are here to liberate the last man. You have given the great honour … to hundreds of millions of children in the world who are deprived of their childhood and health and education, and fundamental right to freedom. It is a great moment for all those children. … I am quite hopeful and rather sure that this will help in giving bigger visibility and attention to the cause of children who are most neglected and most deprived. This will also inspire individuals, activists, governments, business houses, corporate to work hand in hand to fight this out. And I am quite hopeful about it, that the recognition of this issue will help in mobilising bigger support for the cause. We are going to organise End Child Slavery Week from 19th November to 25th November, and that would be an annual event which we would be organising every year on different aspects of child slavery, and this year we are demanding to the international community that the abolition of child slavery must be incorporated into the post-millennium development goal or the sustainable development goal. So that would be the emphasis of this year's End Child Slavery Week. ...It is a noble cause to work for the rights of children. It is a movement against child labour and everyone must join it. I hope that youngsters and civil society organizations and every Indian will feel proud. It is a noble cause to work for the rights of children. It is a movement against child labour and everyone must join it. I work in 144 countries. I work in Africa with equal passion, in Latin America with equal passion. I've worked in Pakistan with equal passion. So it is a global fight. But I'm proud that India is where this fight began and it began through me. Then, it spread to other countries. We are born in the land of the Mahatma where solutions are made with peace and non-violence. I've been working 100% through non-violent means. I strongly believe in the principles of peace in all my fight. It [Nobel Peace Prize] is a great recognition and honour for millions of children in the world. I hope many more people will join the fight against child slavery. This isn't just about India. It's a global phenomenon. We'll work for this globally. I've been working in 147 countries and my responsibility is with all the world's children. My mother saw me being attacked. She cried when I left engineering for this cause. She understood my fight, encouraged me. I remember all those who were with me in this struggle, including two colleagues who were killed. Whenever I free children from slavery and take them back to their mothers, the tears of happiness in their eyes are like blessings of God. When I see the faces of liberated children, I find their smile of freedom divine and it gives me divine strength. I never feel I'm liberating them, rather it feels like they're giving me freedom. Consumers can boycott goods and services that involve children in manufacturing products. Don't accept hospitality from eateries and from shops employing children. Have the courage to tell them that you refuse to take their services because they employ children, which is a crime. This will put psychological pressure on the industries too. Demand a guarantee from shops you visit that they don't employ children. Use social media to prevent exploitation. We work with broken families and broken people who've lost hope and are helpless. If people oppose my work, launch personal attacks, we know that we are on the right path. One colleague was shot, another was beaten to death. I've injuries all over my body. We work against a social evil. If this evil isn't reacting it means we aren't a threat. I'm a friend of the children. No one should see them as pitiable subjects. People often relate childish behaviour to stupidity or foolishness. This needs to change. I want to level the playing field where I can learn from children. I can learn transparency from children. They're innocent and straightforward. It was a passion from my childhood to work for children, I carried it forward. 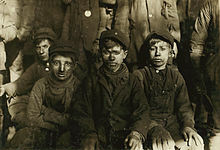 I have been very strongly advocating that poverty must not be used as an excuse to continue child labour. It perpetuates poverty. If children are deprived of education, they remain poor. If they cry for their parents, they are beaten severely, sometimes hanged upside down from trees and even branded or burned with cigarettes. I think of it all as a test. This is a moral examination that one has to pass... to stand up against such social evils. Kailash Satyarthi has been at the forefront of a worldwide movement for justice, global education and a better life for millions of children trapped in exploitative child labour. He has been a regular presence at the United Nations, and his leadership, commitment and personal sacrifice over many decades have helped raise public awareness, mobilize opinion leaders, and galvanize society. Thanks in large measure to Mr. Satyarthi’s heroic work, the world has moved from denial about abusive child labour to acknowledgement, awareness and action. He has successfully brought together the key elements for success in the fight against the worst forms of child labour — moral outrage, personal commitment, and societal engagement. I congratulate both leaders for this well-deserved recognition. The true winners today are the world’s children. Before he became the second Indian to win the Nobel Peace Prize on Friday, not many had heard Kailash Satyarthi’s name. But within 90 minutes of the announcement, the child's rights activist had gained more than 4,500 followers on Twitter — and the list was growing at blazing speed. The 60-year-old activist has been a relentless crusader of child rights and his organisation, the Bachpan Bachao Andolan (BBA), has been at the forefront of the drive against child labour in India for years. … He was trained as an electrical engineer, but he began his work by staging raids on Indian manufacturing, rug-making and other plants where children and their parents often work as bonded labour. Building on his initial activism, he organised the Global March Against Child Labor in the 1990s — dedicated to freeing the millions of children abused worldwide in a form of modern slavery. The activist is also founder of RugMark, a widely known international scheme that tags all carpets made in factories that are child-labour free. In 1998, he organised the Global March Against Child Labour across 103 countries, which helped pave the way for an International Labor Organization convention on the worst forms of child labour. Satyarthi has said his social conscience was awoken when he was six and noticed a boy his age on the steps outside the school with his father, cleaning shoes. Seeing many such children working instead of being educated, he felt an urge as he grew older to solve the problem — launching him on his career of activism. … The Bachpan Bachao Andolan was initiated as a grassroot-level and direct-action-oriented people's movement in 1980 to eliminate exploitation of children, especially child labour and child trafficking. The campaign has over 80,000 individuals and 750 organisations as members, who advocate and act for the protection of child rights. One of Satyarthi’s big achievements is the promotion of a consumer awareness campaign in Europe and the US aimed at dissuading consumers from buying carpets made by child labourers and simultaneously endorsing goods produced without exploiting children. Satyarthi uses an array of techniques including lobbying with politicians and knocking on the doors of the Supreme Court, National Human Rights Commission and other judicial institutions for enforcement of child rights laws. The Norwegian Nobel Committee has decided that the Nobel Peace Prize for 2014 is to be awarded to Kailash Satyarthi and Malala Yousafzay for their struggle against the suppression of children and young people and for the right of all children to education. … Showing great personal courage, Kailash Satyarthi, maintaining Gandhi’s tradition, has headed various forms of protests and demonstrations, all peaceful, focusing on the grave exploitation of children for financial gain. He has also contributed to the development of important international conventions on children’s rights. … The Nobel Committee regards it as an important point for a Hindu and a Muslim, an Indian and a Pakistani, to join in a common struggle for education and against extremism. … The struggle against suppression and for the rights of children and adolescents contributes to the realization of the “fraternity between nations” that Alfred Nobel mentions in his will as one of the criteria for the Nobel Peace Prize. I want to congratulate Malala Yousafzai and Kailash Satyarthi on winning the Nobel Peace Prize. Today’s announcement is a victory for all who strive to uphold the dignity of every human being. In recognizing Malala and Kailash, the Nobel Committee reminds us of the urgency of their work to protect the rights and freedoms of all our young people and to ensure they have the chance to fulfill their God-given potential, regardless of their background, or gender, or station in life. … Kailash Satyarthi has dedicated his life to ending child labor and wiping the stain of slavery from our world. The true measure of Kailash’s efforts is not a single prize he has been awarded, but the tens of thousands of people who today live with freedom and dignity thanks to his efforts. Through his advocacy, Kailash reminds us of our shared responsibility to end the exploitation of others, especially the most vulnerable among us. Malala and Kailash have faced down threats and intimidation, risking their own lives to save others and build a better world for future generations. They come from different countries, religious backgrounds, and generations — a Muslim and a Hindu, a Pakistani and an Indian – but they share an unyielding commitment to justice and an unshakeable belief in the basic dignity of every girl and boy. Even as we celebrate their achievements, we must recommit ourselves to the world that they seek – one in which our daughters have the right and opportunity to get an education; and in which all children are treated equally. Today, we honor Malala and Kailash’s achievements, and reaffirm that the United States will always stand with those who defend our universal human rights. The outstanding work that he has done over the past 35 years on child labour and trafficking has helped change mindsets and influence communities to protect children’s rights and create a more just society. This page was last edited on 4 January 2017, at 16:39.